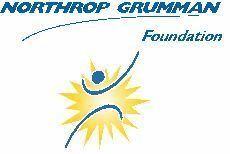 MEDIA ADVISORY -- March 11, 2013 -- The Northrop Grumman Foundation, presenting sponsor of CyberPatriot, and the Air Force Association (AFA) will host the CyberPatriot V National Finals Competition on Friday, March 15 at the Gaylord Hotel, National Harbor, Md. Created by the AFA, Cyber Patriot is responding to a critical national need for cyber professionals in our workforce. It is the premier high school cyber defense competition that's inspiring students toward careers in cybersecurity or other science, technology, engineering and math disciplines. The all-day finals competition features 28 teams, narrowed from a field of more than 1,200 nationwide this year that will compete in a live environment to maintain network operations and fend off cyber attacks. Students will vie for the CyberPatriot trophy, more than $50,000 in scholarship awards from Northrop Grumman Information Systems and national recognition. For each division competition, teams will start with identical networks. They must establish and configure that network, implement defensive security measures and bring it to full performance. Then, they must defend against live "Red Team" attacks by repairing their network infrastructure, reconfiguring the network, implementing security policies and taking preventive measures to avoid repeat attack. Teams are assessed points and a large leader board displays each team's performance.